CALLING ALL INVESTORS! PROPERTY IS A CLEAN OUT AND TOTAL REHAP. 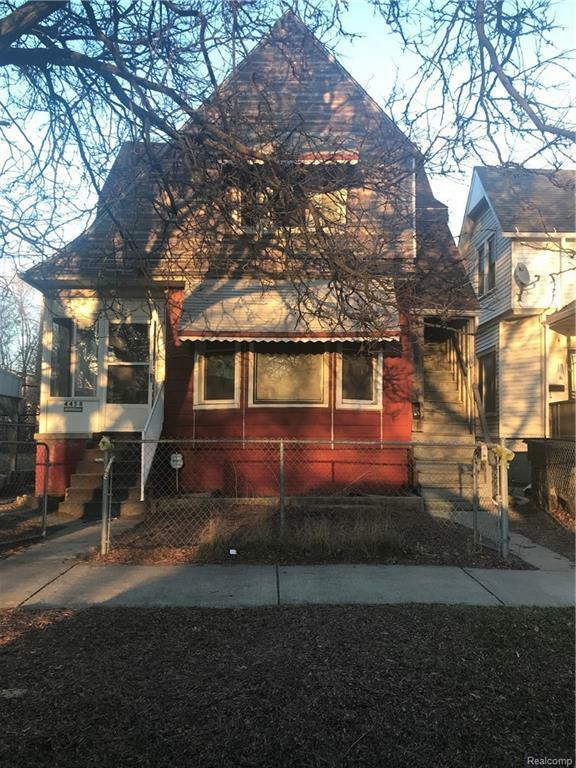 Old World Charm located steps from the upcoming Gratiot Corridor, Belle Isle, The BeautifulDetroit Riverwalk, West Village, Historic Indian Village, Downtown, Eastern Market, Midtown, Ford Field, Tiger Stadium, Little Caesars Arena, The Detroit Medical Center and major freeways. ALL MEASUREMENTS AND INFO ARE ESTIMATED BUYERS AGENT TO VERIFY ALL INFORMATION. ****BUYER TO ASSUME BACK TAXES AND WATER BILLS. OWNERSHIP TRANSFERRED VIA QUIT CLAIMED DEED**** CASH BUYERS ONLY! BRING US AN OFFER! ALL SHOWINGS REQUIRE PROOF OF FUNDS. CALL TO ARRANGE ALL SHOWINGS. Listing provided courtesy of Premier Realty Professionals, Inc.